Capture Public Relations & Marketing believes the art of business is to capture value and works with clients to create effective communications and sales growth through strategic public relations and marketing counsel. Capture builds brand awareness, strengthens customer loyalty and drives sales for a wide range of businesses and not-for-profit organizations. Capture has 6 full-time and more than a dozen part-time staff. 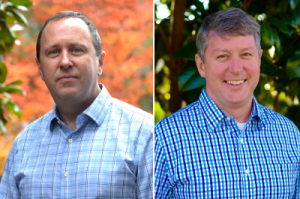 The firm was founded in 2005 by Scott Carpenter and Steve Bumgarner. Scott offers public relations and marketing experience from the agency and news media perspective. His understanding of media relations, communications, and innovative public relations and community relations programs has delivered significant results for a broad list clients ranging from small startups to Fortune 500 companies. Scott is a graduate of Wake Forest University. Steve worked in marketing Krispy Kreme Doughnuts during the company’s rapid-growth phase, contributing to its expansion from 90 stores in 13 states to 400 stores in 45 states. A graduate of Wake Forest University’s Babcock Graduate School of Management, Steve provides strategic marketing, a deep understanding of public relations and grassroots marketing and was selected as one of ten “Marketers of The Next Generation” by Brandweek.